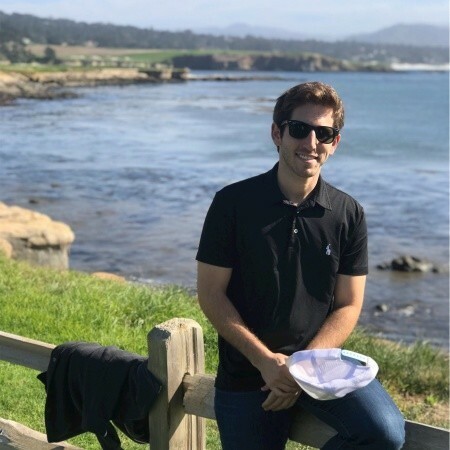 Coming from a Bachelor of Business Administration and Finance, Gabe Frank is in charge of the business development of BitGo, a market leader in institutional cryptocurrency financial services, providing clients with security, compliance, and custodial solutions. Currently working with funds, broker-dealers, family offices, exchanges, ICOs, OTC / liquidity providers, and payment processors with the aim of delivering trust in digital assets and focusing on helping Institutions navigate the digital asset marketplace with the highest security standards in the world. Gabe, Institutional Custody and Cryptocurrency Security expert at BitGo, is now a fundamental resource for the world's largest processor of on-chain Bitcoin transactions, processing 15% of all global Bitcoin transactions, and $15 billion per month across all cryptocurrencies. BitGo supports over 100 coins and tokens, and with over $2 billion in assets in wallet. Our customer base includes the world's largest cryptocurrency exchanges and spans more than 50 countries. In 2018, BitGo introduced Custody and launched BitGo Trust Company, the first qualified custodian purpose-built for storing digital assets. Backed by Craft Ventures, DRW, Galaxy Digital Ventures, Goldman Sachs, Redpoint Ventures, and Valor Equity Partners, BitGo has invested the time and energy to bring the best financial tools from mainstream treasury management to digital currency, and it shows in the quality of their products and services.